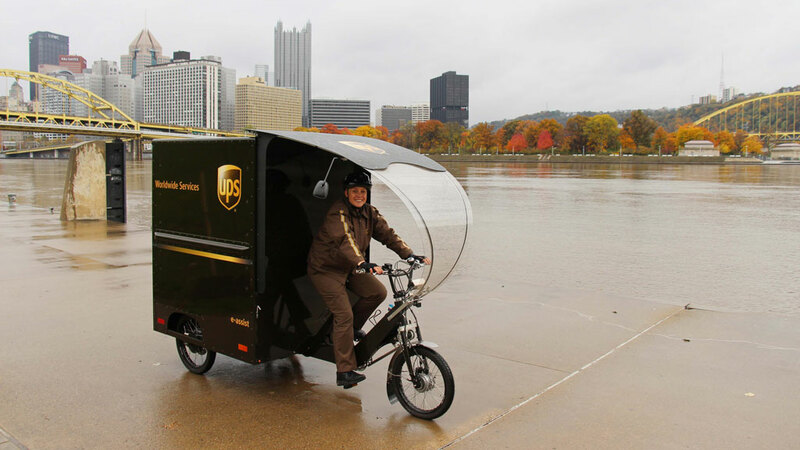 Over the last two months, the United Parcel Service (UPS) has incorporated the use of eBikes into its fleet of vehicles in the USA, deploying electric-assisted tricycles in Pittsburgh, Pennsylvania and Fort Lauderdale, Florida in order to make delivering packages more efficient, along with helping to reduce carbon emissions. 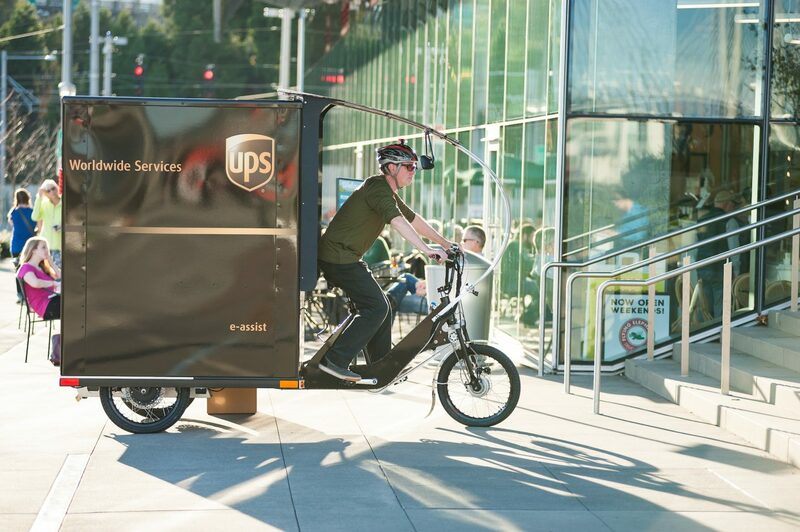 The success of the electric tricycles was first demonstrated in 2012 in Hamburg, Germany, where UPS focused on developing a new and sustainable method of delivering goods to urban areas, placing four containers at central locations in the city for interim storage of packages for drivers. 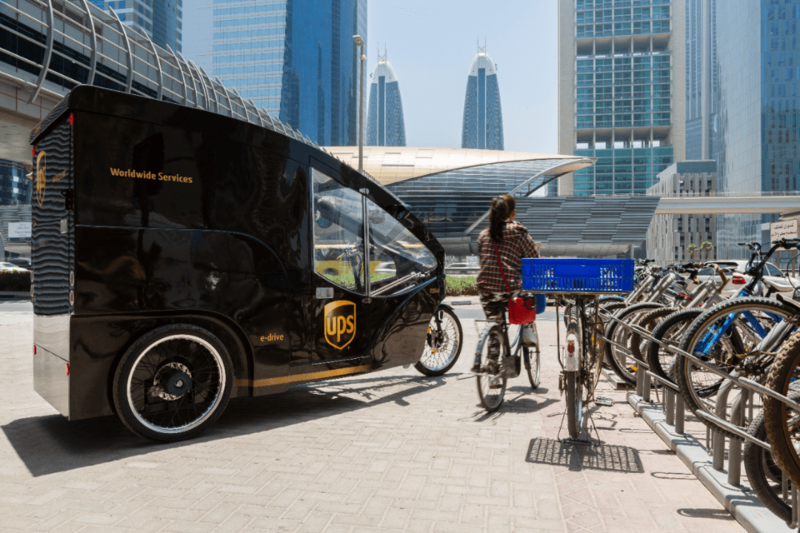 From these points, deliveries were made on foot or with specialized electrically-assisted cargo tricycles that were aimed at easing traffic congestion, while also reducing carbon emissions each day. Due to the success of this pilot, the Hamburg program was extended to include similar delivery schemes in Pennsylvania and Florida. The electric tricycles are equipped with battery-powered electric motors that makes it possible to cover longer distances than traditional bikes, carry substantial loads and navigate hills and other terrain. Maximum energy efficiency is achieved when combining battery power and human power simultaneously. Furthermore, the electric tricycles can be operated solely on battery power or pedal power, meanwhile allowing UPS to evaluate the reliability, design, integration into both city’s infrastructure and acceptance of the vehicle. In the case of Fort Lauderdale, weather permitting, UPS hopes to run the electric tricycles on a year-round basis. 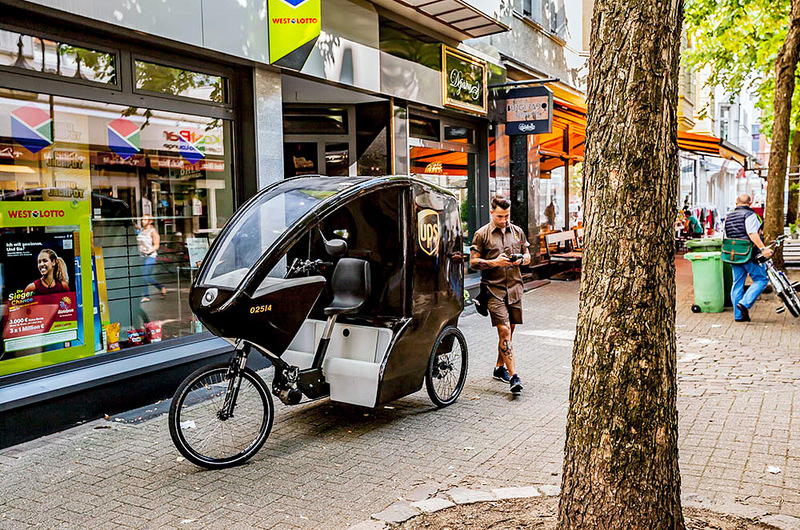 Using its “Rolling Laboratory” approach, UPS deploys more than 8,500 low-emission vehicles around the world in order to determine what works best in each situation, with its electric tricycle program currently in use in Frankfurt, Offenbach, Hamburg, Munich, Oldenburg and Herne, Germany, as well as in Leuven and Mechelen, Belgium, Rome and Verona, Italy, Toulouse, France and Dublin, Ireland. “We’re putting sustainability innovation into action, all over the world”, says UPS.